A vintage estate jewelry piece: Late Arts & Crafts period, Circa 1910, marked “9ct” (U.K.). 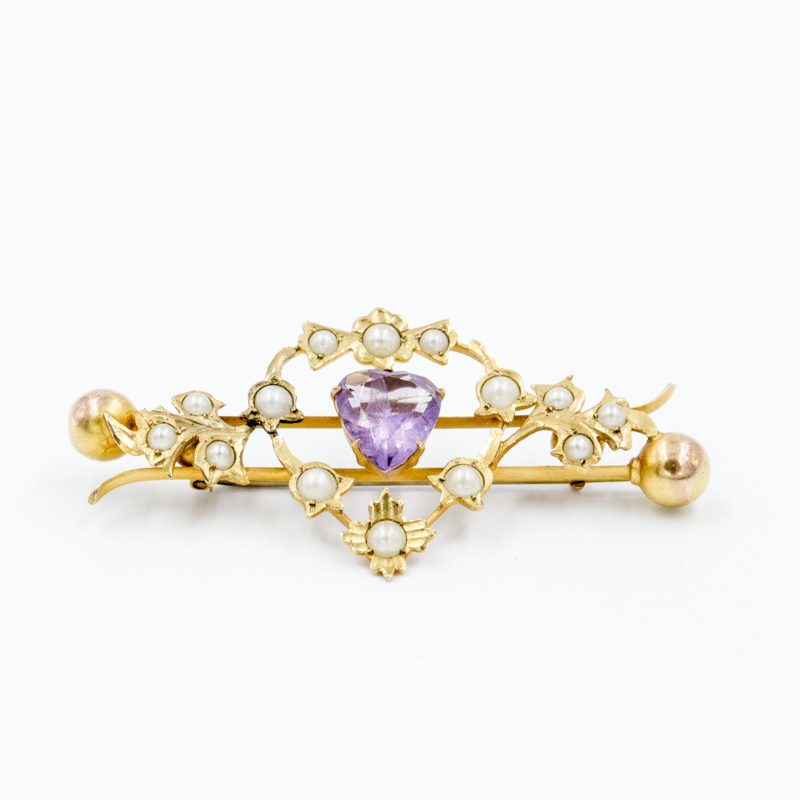 Yellow gold with open heart motif; set with heart-shaped amethyst and 14 half-seed pearls. Length: 2.25 inches.